CONGRATULATIONS to the Novice Rep team for being OMHA Finalists!! CONGRATULATIONS to the Juvenile Rep team for being OMHA Finalists!! CONGRATULATIONS to the Bantam team for being Local League Champions!! CONGRATULATIONS to the PeeWee team for being Local League Champions!! ...will post some photos soon. Our Cayuga Minor Hockey Board is seeking new members. Congratulations to the Novice Rep team on a their excellent team picture collage! They are the winner of this challenge. It looks like they have had a great season and we wish them the best during their OMHA Finals! Special thanks to Yager Electric for sponsoring this challenge and to Cayuga Foodland for providing pizza to the team. 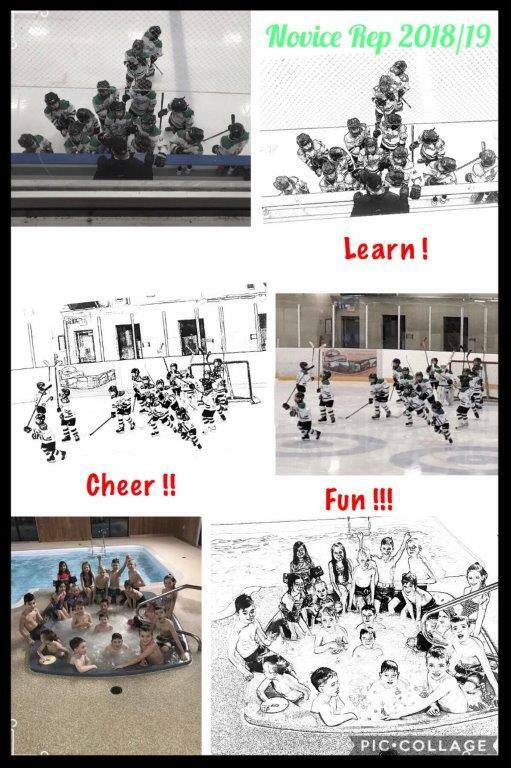 A special shout out to the Peewee LL team for their picture collage! Both teams did a great job with this challenge! To see the Peewee LL picture . . .